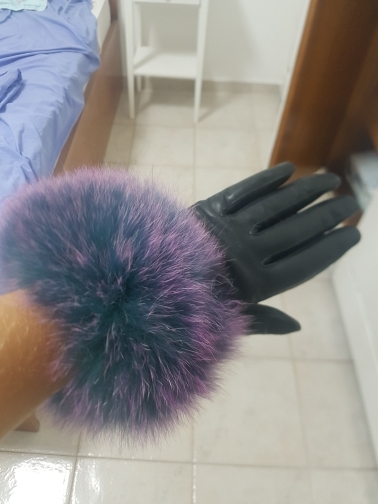 Super gloves soft leather and fur natural! They are just fine. Love them.